The 24" Baby Stand Extension from Kupo is a great way to add a little more height to your stand without buying an additional heavy and cumbersome stand. 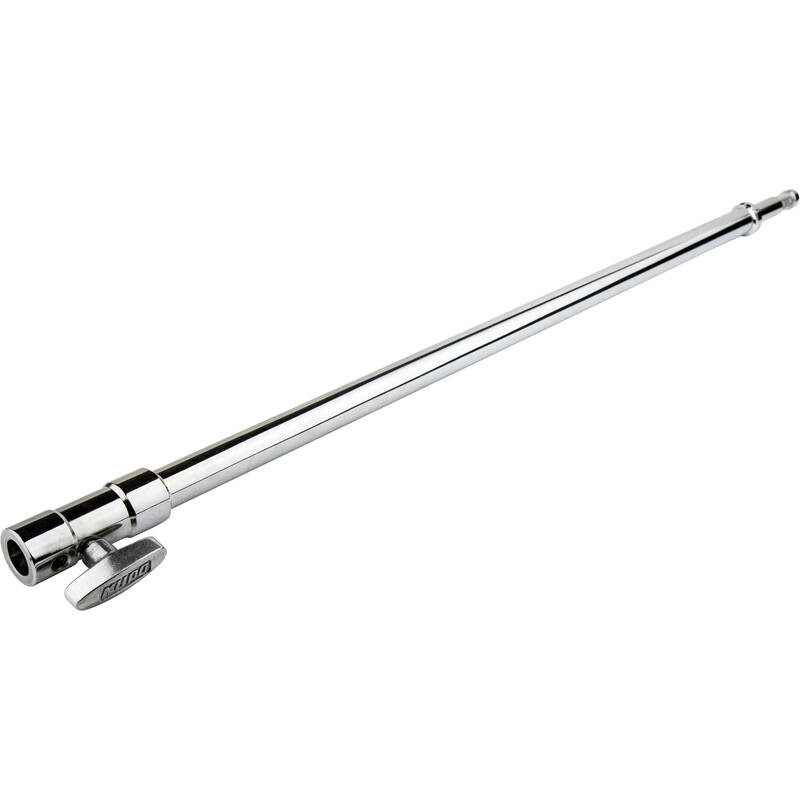 Made from chrome-plated steel, the extension has a combination 5/8" receiver / 1-1/8" pin at the mounting end. Use the receiver for industry-standard 5/8" studs, or remove the tightening knob and slip the base into a stand with a Junior receiver. The extension has a 5/8" top stud that's knurled to prevent rotation of your gear. Box Dimensions (LxWxH) 27.0 x 0.5 x 0.5"